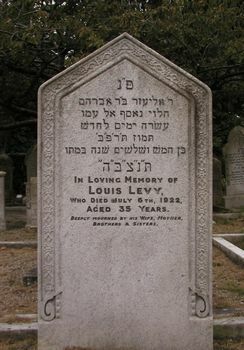 Notes: Stockton Jewish Cemetery: Stockton-on-Tees is an ancient Borough with a Charter dating back to the 14th Century. During local government reorganisations in the 1980's and 1990's the old Borough became, first, part of the County Borough of Teesside, which in turn became the County of Cleveland; Stockton was one of the four constituent boroughs. Eventually the County of Cleveland itself ceased to exist and Stockton is now once again an Independent Authority.